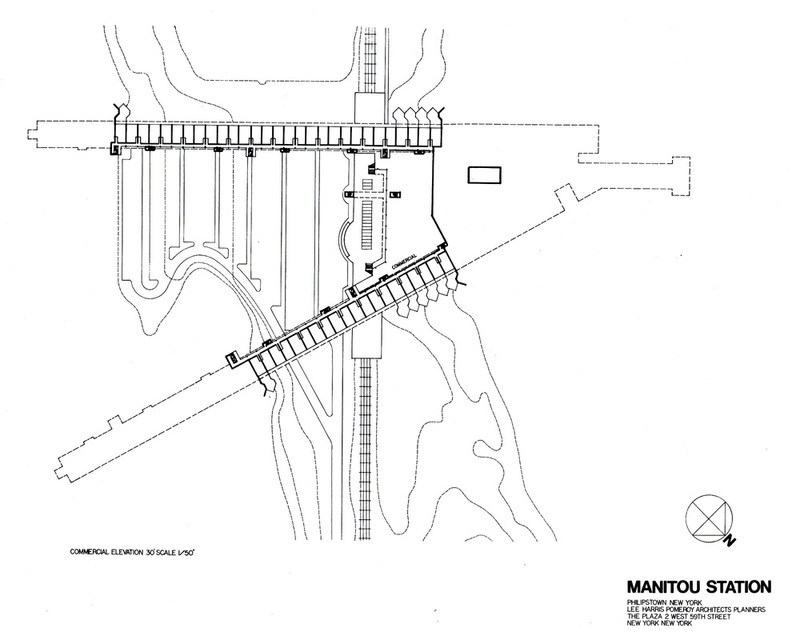 Manitou Station is a planned residential community on a 125-acre tract along the Hudson River. Designed to minimize the impact of development and preserve the natural environment, this complex occupies only 13 acres of a 125-acre site. Located north of New York City and near West Point, Manitou Station includes a 600-unit condominium, parking for 1,120 cars, recreational facilities, commercial space, and the train station for which the project is named. Recognized as “a strong alternative to the conventional escape to the suburbs” by judges in the 20th annual Progressive Architecture Design Awards program, the development is a “V”-shaped building that spans the railroad and valley floor. 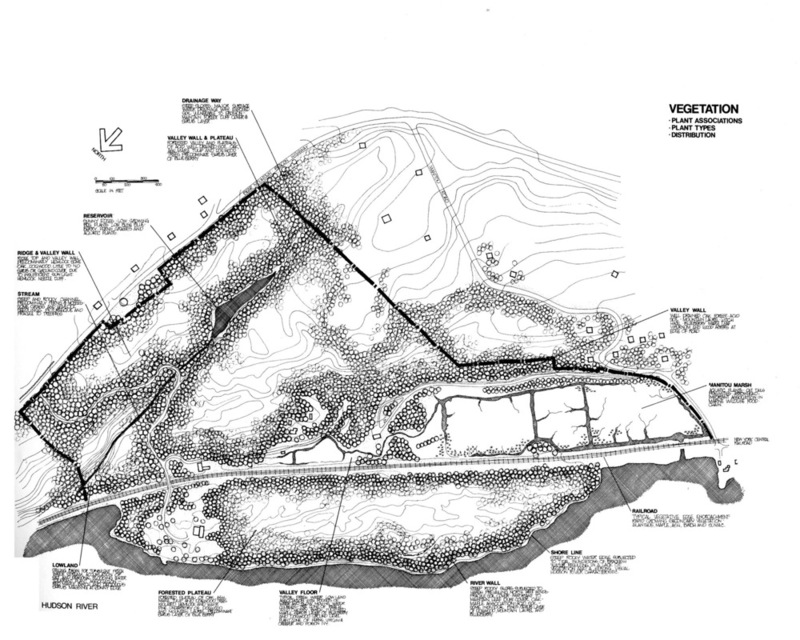 Prior to developing the design of the complex, we engaged in detailed site planning and site analysis, evaluating the natural and man-made features and historic elements and concentrated on minimizing the impact of development to the site. The resultant single, strong design was endorsed by The Hudson River Valley Commission, Regional Plan Association, Putnam County Planning Board, and the New York State Office of Regional Planning. The urban facilities – offices, shops and train station – are located within the “V” and cars are parked on the roof or within the building. The “urban” side of Manitou Station has been designed with corridors which act as “streets” of this village and provide direct access to the surrounding hillsides. 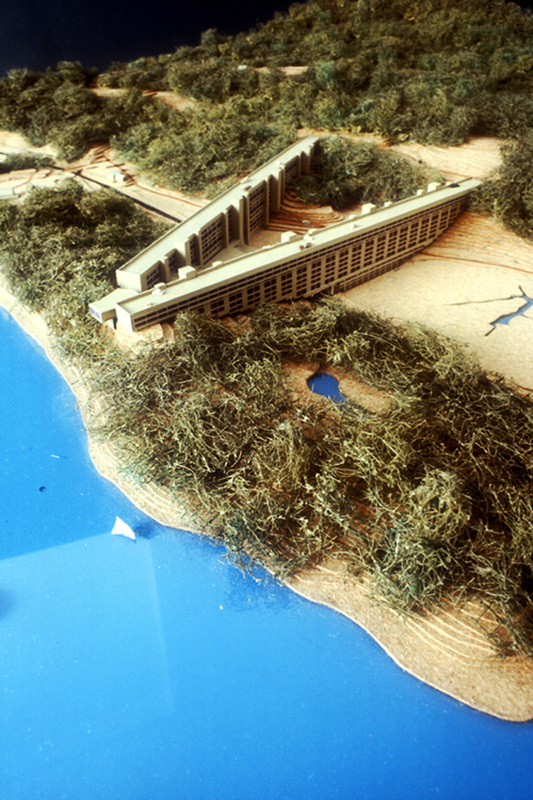 The plan also includes a marina as well as a tennis and swim club. The outer perimeter of the “V” has direct and unobstructed contact with the Hudson Highlands and all of its natural beauty. Each floor of the multi-level complex has direct contact with the hillside at both ends allowing residents to walk from their apartments onto the grounds. In addition to a waterfall, stream, marshland and woods, the site offers a reservoir that can be used for ice-skating. The structures nestle like a wall or dam within a valley, below the treeline of a riverfront hill, leaving the Hudson River shoreline visually free. 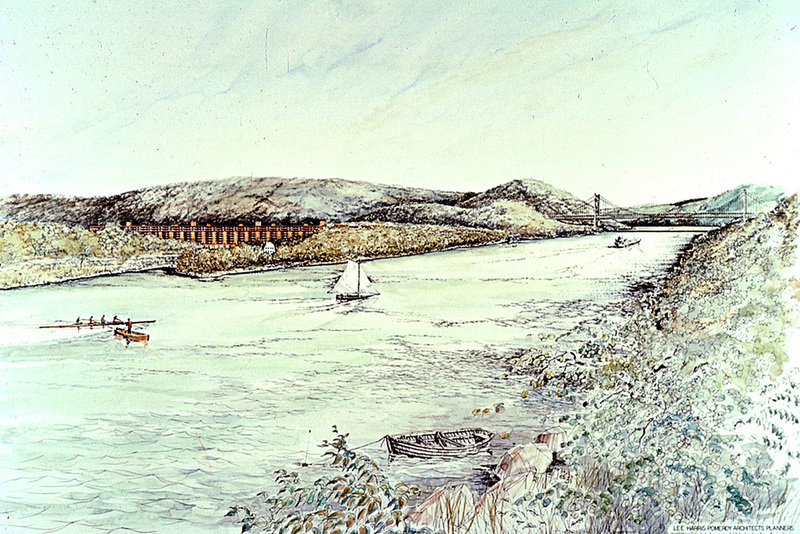 The dwellings in each leg of the “V”-shaped structure are designed to provide outside vistas either down river towards the Bear Mountain Bridge, or up river towards West Point. 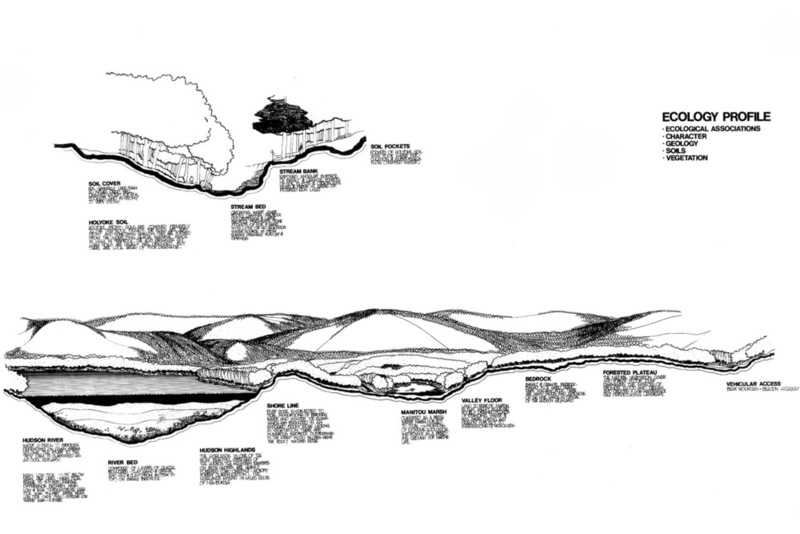 Manitou Station: A Proposed Residential Community; Architecture Handbook; John Wiley & Sons, Inc.